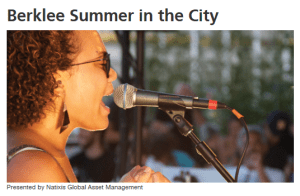 Berklee Summer in the City is a free concert series with over 200 free performances from Berklee’s talented young artists across the Greater Boston area. There are so many free concerts in so many different Boston neighborhoods at various times of the day. To check out the complete free music series schedule, please head here.